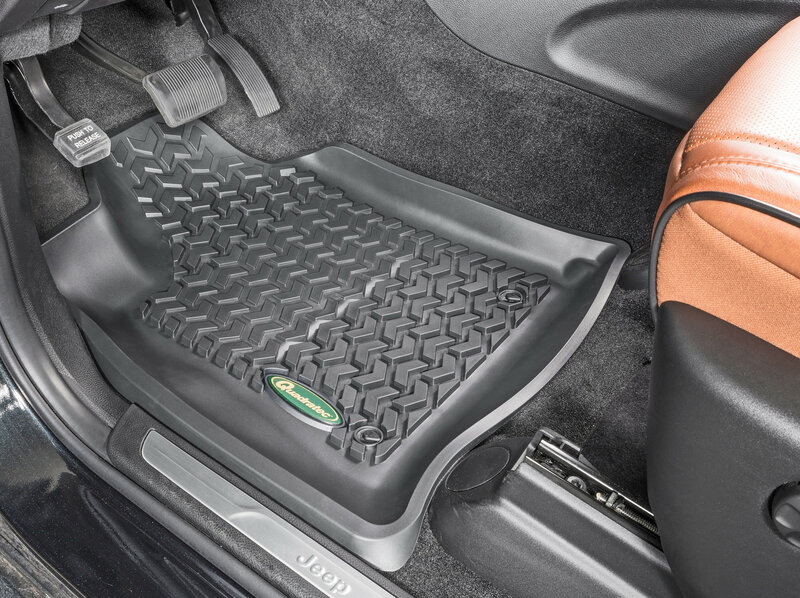 The front and rear passenger mats are great. High quality and look awesome. 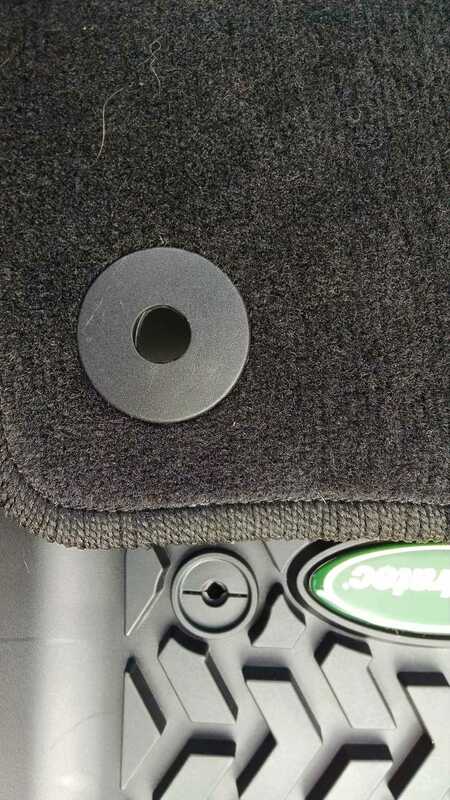 I know people have said the holes are too small, but the flap is designed to fit under the nailhead pin on the Jeep. Just push them down with a flat head screwdriver. The liner for the rear is horrible. It's cheap and plastic like and not even close to a match for the front in both look and quality. Disappointed. When I buy a set of something I expect them to be at least consistent in design. 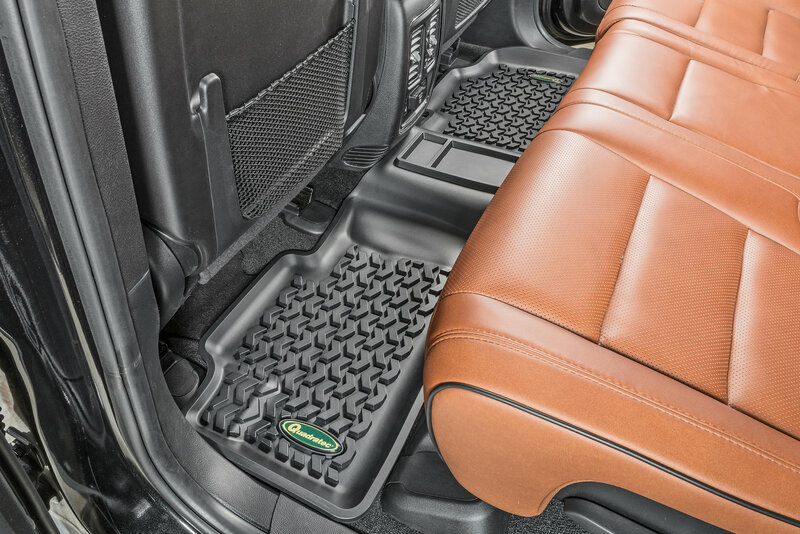 I have a 2018 Jeep Grand Cherokee and these floor mats are just what I was looking for - more rugged then the other popular brand. 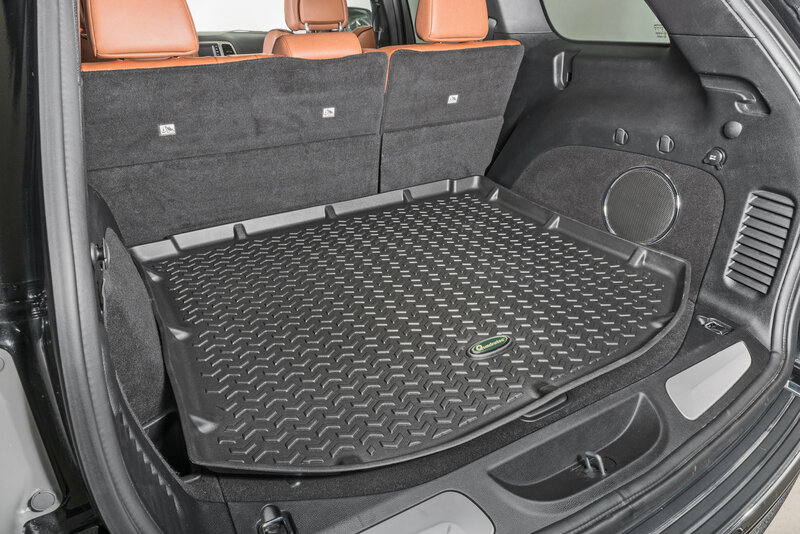 The cargo area mat and back seat mat fit perfectly. 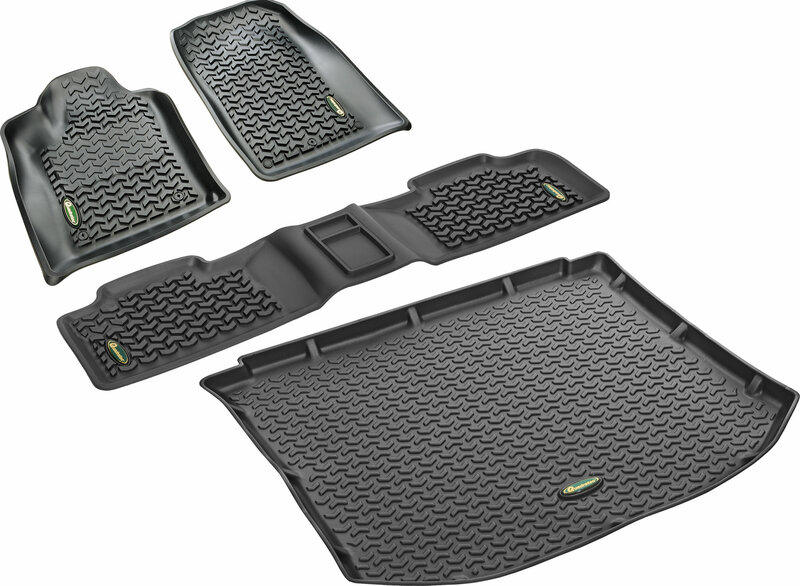 The passenger mat and drivers seat mat fit perfect and they match up to the pegs on the floor. It was a challenge to get the holes in the mat to fit over top of the floor peg. If the hole were just a tad bigger, I think it would have been easier. These mats are heavy enough that they do not slide at all. They look amazing in my jeep and I am very happy with them. 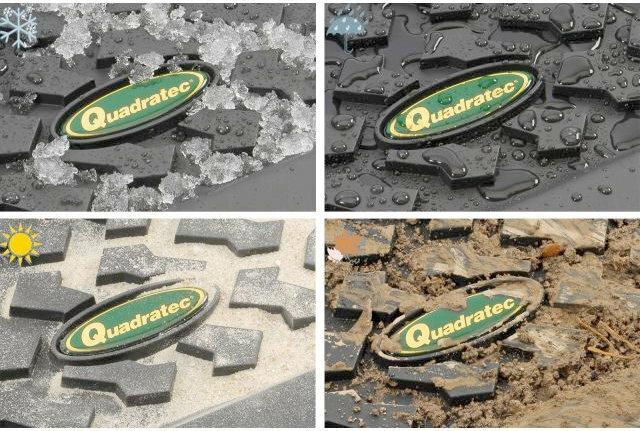 I get a lot of compliments on these mats. These seem to fit pretty well but not as well as expected. There are a few gaps and the back liner shifts as there is nothing to hold it in place. The front seat liners have holes that are supposed to go over the pegs on the floor but they don't fit. 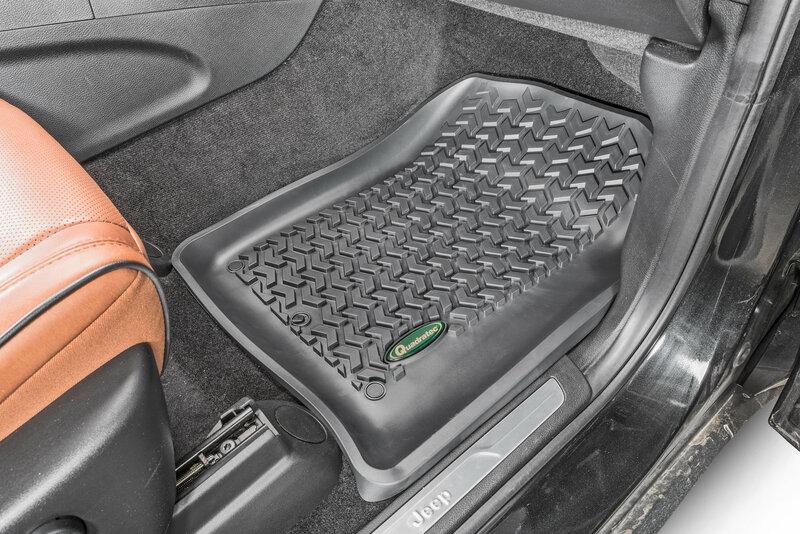 We had a pair of these for our 2014 Wrangler Unlimited and they were awesome. These, not as good.